Wedges, slides, mules and flip flops (although not advised) are the most worn shoes of Spring and Summer but why not kick it up a notch? There's no better way to boost your outfit than to add in some flat forms. 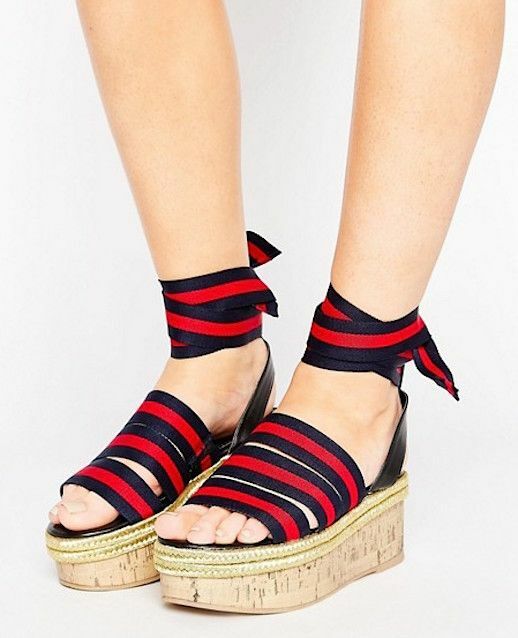 This playful, throwback shoe will surely inspire your warm-weather vibes. Shop some of the cutest below.